Students undertaking the International Business Law or International Environmental Law concentrations must enroll full-time. International applicants encouraged to apply early. In-person participation is required once or twice per semester. Tuition based on 25 credit hours. Online LLMs in Tax? Online LLMs in Tax? Accelerated JD instead of an LLM? Accelerated JD instead of an LLM? Transfer credit towards a JD degree with a LLB? Transfer credit towards a JD degree with a LLB? 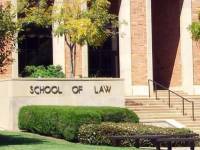 Info on Stetson or Cal Western Law Shool? Info on Stetson or Cal Western Law Shool? There are no photos of Stetson University College of Law. gegenini posted on a discussion Online LLMs in Tax?